The only Minister to have served in Heath, Thatcher and Cameron administrations, Lord Howell of Guildford has maintained a close engagement with government energy policies throughout. He served under Margaret Thatcher as her first Energy Secretary and has held numerous Government and public posts since – including a spell as Foreign and Commonwealth Minister of State (in charge of international energy security) in the 2010 Coalition Government. He was the President of the UK Energy Industries Council between 2012 and 2015, President of the British Council of Energy Economics from 2006 to 2015, has been chair of the Windsor Energy Group since 2005 and is co-Chair of Access for Women in Energy. 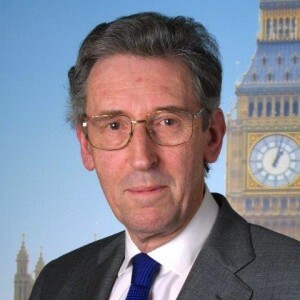 Lord Howell is a former treasury economist. He was for ten years the Chair of the House of Commons Foreign Affairs Committee and one of the chief architects of UK-Japan relations. He was awarded the Order of the Sacred Treasure by the Emperor of Japan in 2002. Lord Howell is currently Chair of the House of Lords International Relations Committee. He is also President of the Royal Commonwealth Society and actively engaged with the Commonwealth network’s 53 country membership on energy and trade issues. He advises Mitsubishi Electric, the Kuwait Investment Office and Japan Central Railway Ltd. – among other companies, and is a former adviser to UBS, Wood Mackenzie, Dow Chemical, Trafalgar House, Jardine Thompson and Merck, Sharp and Dohme. Lord Howell is the author of several books, including Out of the Energy Labyrinth – jointly with Dr Carole Nakhle – in 2007, and Energy Empires in Collision, 2016.